Dr. Bruce B. Allen, DC, CKT is a graduate of Southern California University of Health Sciences, (LACC). 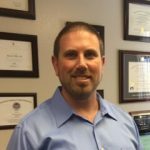 Prior to becoming a Doctor of Chiropractic Medicine, he worked as a Sports Rehabilitation Therapist and Personal Trainer throughout San Diego. 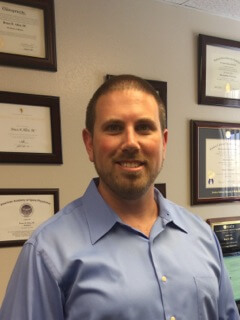 Dr. Allen received his Bachelor of Science in Kinesiology (Human Movement & Sports Science) specializing in Kinesiotherapy from San Diego State University. In addition, Dr. Allen has had extensive experience working with patients for post-operative and sports injury rehabilitation in a local sports therapy clinic here in San Diego. In his spare time, you will find Dr. Allen out playing soccer, softball, mountain biking, weight lifting, playing golf and riding motocross. Participating in many different sports allows Dr. Allen to fully understand the biomechanics behind the various sports and the injuries that go along with them. This enables Dr. Allen to find the underlying cause of the issue at hand and treat it accordingly. This allows for fewer treatments and a quicker recovery for the patient.